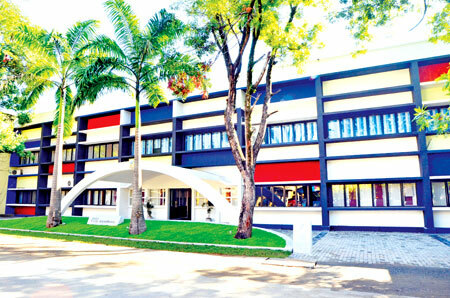 IESL College of Engineering will host their first open day on September 24, at the College premises at Hector Kobbekaduwa Mawatha, Colombo 7. Special guest speakers for the event would be, Chairman, KIK Lanka Lalith Kahatapitiya and CEO and Secretary General, Ceylon Chamber of Commerce (CCC) Mangala Yapa. This will be an ideal opportunity for the parents to become aware of the IESLCE and its engineering study programme to make a wise decision. One of the objectives of IESL is to promote engineering education. "Over the years IESL has undergone several curriculum reforms in order to make it more attractive, relevant and to improve its standards and was benchmarked with reputed engineering degree programmes," an official from IESL said. "In order to meet the increasing demand and also to permit the diversification of the engineering education IESL College of Engineering (IESLCE) was formally established in 2011." IESLCE is a growing, vibrant, learning community, continuously improving its facilities and technologies and employing innovative new approaches to support its entire students' success. The combination of dedicated academic and administration staff together with relevant academic study programs has earned IESLCE a high reputation in engineering education. The entire Engineering education programme has been designed to match higher educational needs in Engineering. The full time Engineering study program offered by IESLCE is of four-year duration and the part time Engineering study program is of five-year duration. Engineering education has significantly diversified over the decades and over 20 different fields of specializations have developed.